Intensive Moisture Conditioner can deeply moisturize dry hair, replenish abundant nutrition, leaving hair soft and healthy with natural shine. 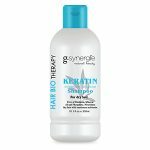 Smoothes hair leaving it moist and strong, prevents ends split. 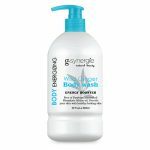 Free of Sulfates, Sodium Chloride, Parabens, Mineral Oil and Phosphate. Eucalyptus is an active ingredient that acts antiseptically and refreshingly. It shows anti-inflammatory effect. Vegetable proteins reinforce the hair structure, have a moisturizing and softening effect. They tighten the skin and create a protective film without oily coating. After shampooing, spread evenly onto wet hair and massage for a while, then rinse thoroughly.